Megan Johnson of Love Family Health is one of the nicest people I’ve never met. Well, we’ve only met virtually. 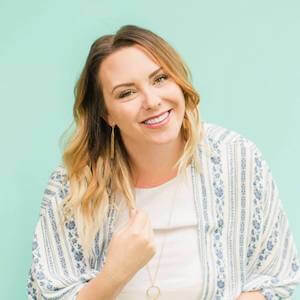 I purchased her course, Pinterest Ninja, when I was struggling to grow my traffic back in January 2018. After devouring the in-depth guide within a matter of hours, I was so impressed that I decided to work with Megan one-on-one. She’s the type of teacher with the patience of a saint! Like many new bloggers, I had no idea how to use Pinterest. I found learning about this new platform sort of daunting. To say the least, I had a ton of questions. Meghan, who gets around 10k page views a day from Pinterest, carefully explained things to me and was available to chat even after our session ended. I reached out to her to share her Pinterest wisdom and talk about what makes Pinterest Ninja a great course for beginners. Later on, you’ll get a look inside Pinterest Ninja to see if it’s the right course for you. Let’s jump right in! 1. Could you give us some background about how you got started on Pinterest? I was working for a company whose target audience was homeschool Moms. I knew their main hangout was Pinterest, so I started there. At the time Pinterest was still a platform I only used for DIY projects and recipes. It turns out it was so much more! I had a lot of success marketing their products on the platform, and from there I decided it was something I wanted to learn more about. I have a background in marketing, and I had heard of companies having success with Pinterest, so I decided to give it a go! 2. 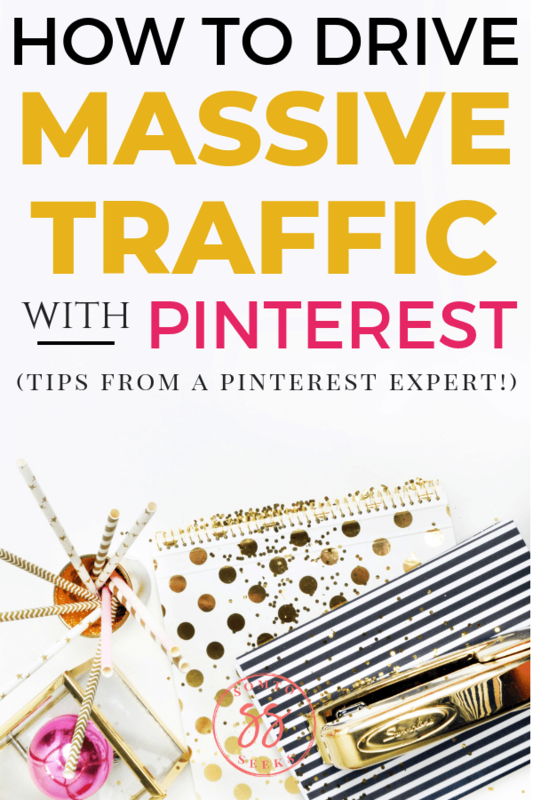 What makes Pinterest a great way to drive traffic to a blog? Pinterest is a search engine just like Google. However, I think it’s even better since it’s all visual. With Pinterest, you have a chance to reach and engage an audience by the imaging you create. (SEO also plays a pretty significant role) But, Pinterest is FREE. If you take the time to learn how it works, create killer pins and optimize them for SEO, you can rank on the first page without paying a dime! Which is HUGE when it comes to driving traffic to your website. It’s a little harder than it sounds, but once you get the hang of it, it’s pretty much smooth sailing! 3. Why do you think you’ve been so successful on Pinterest? Education. I have educated the HECK out of myself and then some. I am always on top of my analytics and metrics so I can see what is working and what isn’t. I learn from them, and then I try something new. Pinterest is an ever-changing platform, so you have to open to learning to things, all the time. I am continually trying new strategies, playing around with wording and imaging. 4. What exactly is Pinterest Ninja? Can you explain the basics of the course for those who are unfamiliar with it? Pinterest Ninja breaks down every single aspect of Pinterest. From setting up your account, how to optimize your profile for SEO and how to get your pins to convert to website traffic! (Plus a TON more) I walk you through it all step-by-step! 5. What inspired you to create Pinterest Ninja? I am a step-by-step learner. And after taking many Pinterest courses that, A. Didn’t cover as much as I wanted to learn. And B. Were EXTREMELY overpriced. I knew I could take everything I have done to get to this point in my career and teach others (step-by-step) to do the same. All while making it affordable. 6. There are many Pinterest courses out there. 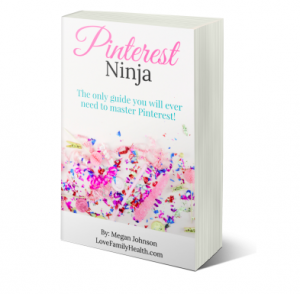 What makes Pinterest Ninja different? Me. And I don’t mean that in a boastful way. When you are learning something new, especially something as in-depth as Pinterest, you are going to have questions. And I want to be easily accessible to my students. Pinterest Ninja has quite a few tutorial videos, and I almost always give my email out at the end of each video and say, “hey, if this confuses you, email me!” I want to be there to help; I genuinely want to see my students have as much success with Pinterest as possible! 7. What are some of the biggest successes your Pinterest Ninja students have achieved? Making a full-time income with their blogs, Tripling their Etsy sales or doubling their affiliate marketing income. 8. Most Pinterest Ninja students are bloggers. Can non-bloggers also benefit from the course? 100%, a decent amount of my students have Etsy shops or MLM businesses. 9. What is the biggest challenge for those new to Pinterest? How can Pinterest Ninja help them overcome it? I think Pinterest can be a lot for those just starting. Especially those who are using it for their business. Pinterest for business is a lot different than just plain old Pinterest that you use to save recipes and find craft ideas. It’s a whole other level. Pinterest Nina walks you through it all, step-by-step, from beginning to end. 10. What are some of the most common myths about Pinterest? That it’s only for crafts and recipes! That is what I always thought too! But it’s so much more! It a place for travel, health, fitness, marketing, business, clothing, beauty, photography and so much more! 11. Could you share some early mistakes you made as on Pinterest and what they taught you? I was trying to take in too much information at one time. I think it was on information overload in the beginning and didn’t slow down to learn it all one thing at a time and I got burnt out and overwhelmed pretty quickly! Slowing down, taking the time to learn about each step and each strategy really helped me in the end. 12. 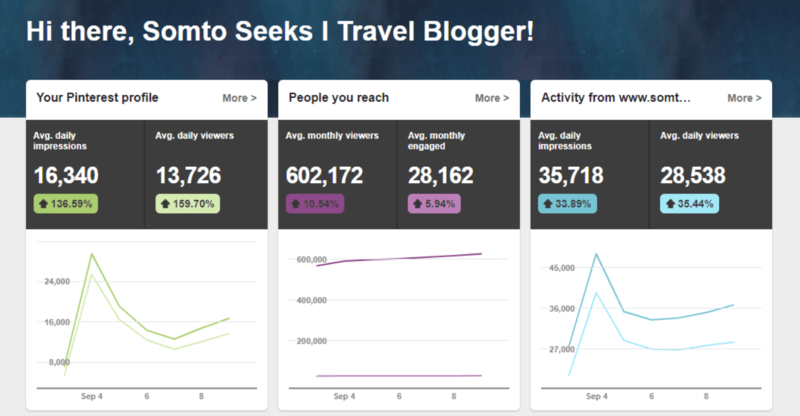 How has growing your Pinterest traffic impacted your blogging income? It has been a total game changer. When I started, I was shooting to make an extra $500 a month. And now almost three years later, Pinterest has 150% helped me surpass my goal and turn my business into a full-time income. All of which I do from home, part-time with two kids. 13. What piece of advice would you give someone on the fence about investing in a Pinterest course? I know spending money on your business can be SCARY. Like really scary. And when you are first starting out, you don’t always have the money to invest. Do your research, read reviews and look at stats! They speak for themselves! And know that by learning all the ins and outs of the platform, it will 100% help you take your business or blog to the next level. You will never regret investing in more knowledge. How do you set up a Pinterest business account? Why is a Pinterest business account better than a personal one? What are personal boards and group boards? How do you join group boards? How do you research keywords on Pinterest? Where do you need to put the keywords? How do you optimize your account to enable people to find your pins? What do your Pinterest Analytics mean? How do you create pins that go viral? But doing keyword research isn’t enough! 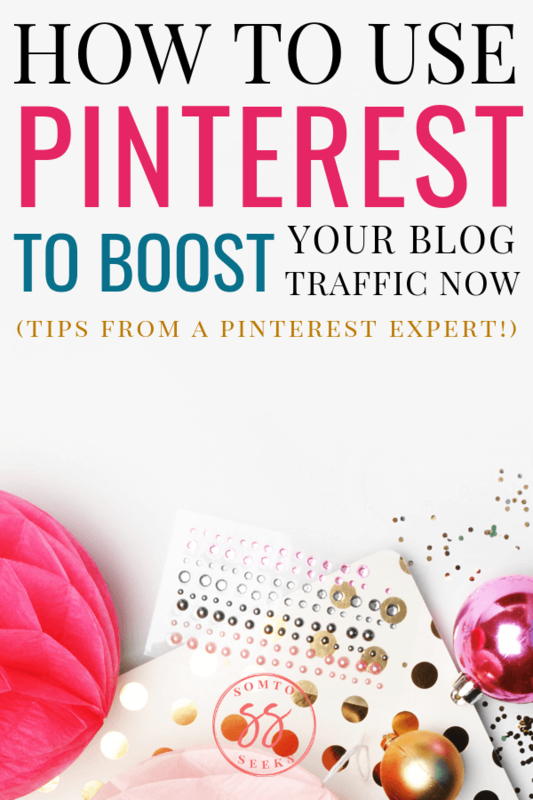 You have to understand your Pinterest Analytics to know whether you’re making progress! This was my Pinterest Analytics in September 2018. From taking Pinterest Ninja, I learned what metrics are important and how to find out about my audience so that I could better serve them. By following the strategies in Pinterest Ninja, my monthly viewers, which is basically my reach on Pinterest, grew by 500x. My audience on Pinterest, the average monthly engaged, grew by 150x. Meghan’s strategies work, and they’ve worked for over 1,000 Pinterest Ninja students. Another great thing is that Meghan constantly updates the course with new information. The Pinterest Ninja I first purchased in January 2018 is way different from the one you can purchase today. Ready to give your website traffic and income a serious boost?